SOUND THE ALARM! 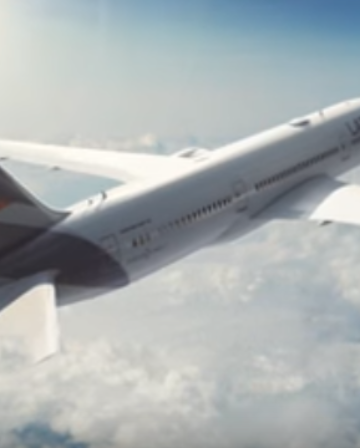 Today is (almost definitely) your last ever chance to purchase discounted SPG Starpoints. 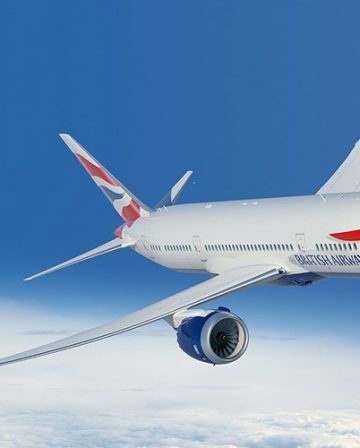 I’ve been sharing a few of my favourite Starpoints redemptions to illustrate why you might wish to take advantage of cheap Starpoints while you still can (articles listed below) and will be posting about a few more today – starting with how you can bag 15 hours in one of the world’s best Business Class products for about £370. 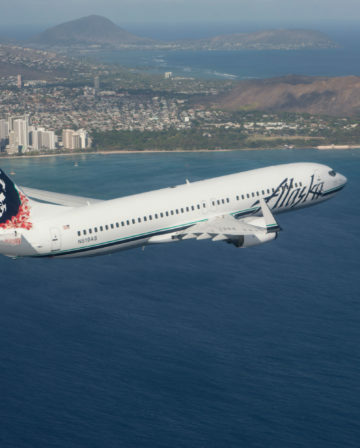 Alaska Mileage Plan has a fair few quirks compared to most other major airline mileage programmes – some good, some bad. 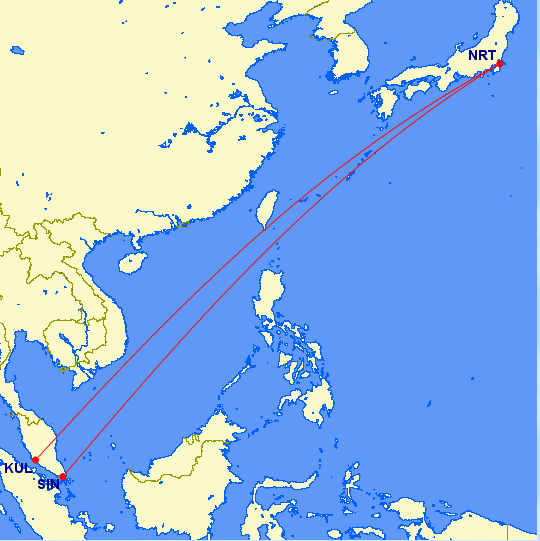 Both flights are over 7 hours long so you’re looking at about 15 hours of JAL Business Class for 25,000 Miles + £30. Remember, you can currently purchase 25,000 Miles via SPG for ~£340, making the total cost £370! Spending ~15 hours on planes (even in one of the best Business Class cabins in the world) to travel the 185 Miles between Singapore and Kuala Lumpur may seem a trifle eccentric at first glance, but it can actually be a great idea! 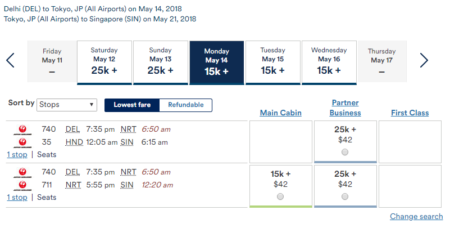 Say, for example, you book cheap flights from the UK to Singapore, but would love to visit Japan too – now you can do it in style for ~£360. 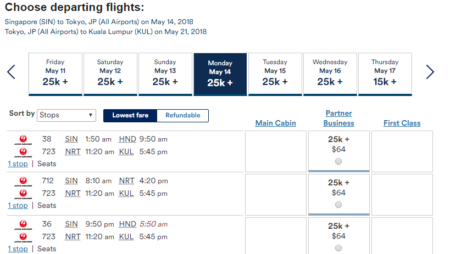 Kuala Lumpur is well worth a look in its own right of course, but it has the added advantage of offering lots of cheap flight options (£10-£30) back to Singapore, so you can easily connect to get your flight back to the UK. 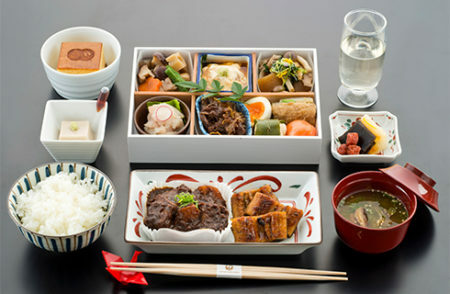 On many of these longer Asian routes, JAL flies its exceptional SKY SUITE III Business Class seat (on the 787-9 and 777-200ER aircraft). You can check out a great review here – the food alone almost looks worth the Miles! 15 hours in one of the best Business Class cabins in the sky, plus the chance to have a proper look at Tokyo/Japan while on your travels in Asia for ~£360… Not bad. ? Remember that the 35% Starpoint discount ends today, so if you want to take advantage of deals like this, now is the time to do it! 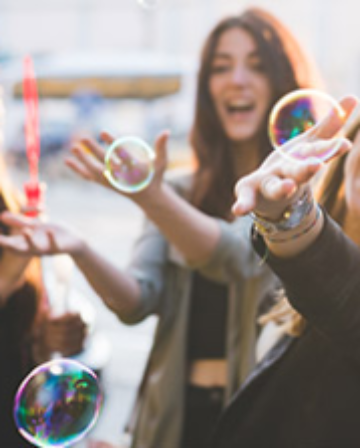 If you prefer to earn your Miles through credit card sign-up bonuses rather than buying them, sign up to the SPG American Express credit card here and you’ll get a bonus of 11,000 Starpoints rather than the standard 10,000. You need to spend £1,000 within 3 months to trigger the bonus once you get the card, but will earn an extra 1,000 Starpoints for that too, because the standard earning rate is 1 Starpoint per £1. Do these points expire with either jal or SPG? I’m (genuinely) interested to hear why you think this is clickbait. Is it possible to buy the Points required for the price used in the title – yep. Can it be booked? Yep – award space is excellent and it’s easy to book these ones online (I show exactly how to do it). 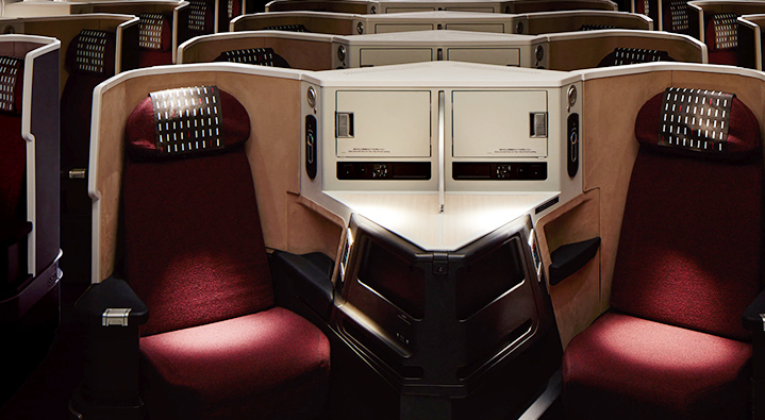 Can you get 15 hours in one of the world’s best Business Class cabins for the price stated? Yep – admittedly as 2 7-8 hour flights, but that’s arguably a positive, and it’s tricky to explain that concisely in a title. So, the article shows how to book exactly what the title says – which is the opposite of clickbait, as far as I understand the term. I’d also suggest that this is still a relatively unknown redemption option and therefore more interesting and useful to share than many better known sweet spots. As regards the referral link, I did indeed put one in – at the bottom of the piece, not littered throughout – because the Starpoint discount offer ends today and even if it didn’t, many readers prefer to earn their Miles for ‘free’ via credit card signup bonuses etc rather than buying them. I could have used a non referral link, but that would have meant people signing up would only get 10,000 Starpoints rather than 11,000, and we always try to use the best available offer (whether we benefit or not). As usual, I’m always happy for readers to add their own referral links in the comments too. Okay, fair enough. Good defence. I thought the post would be about some cheap cash deal when I saw the title. 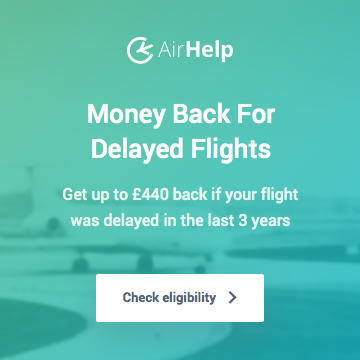 🙂 – ah, imagine if it was a cash fare and therefore eligible to earn Miles on! That really would be a deal worth shouting about. When using AA miles from SPG conversion on Etihad, are the zone charts used for redemption purposes just based on areas like Europe to Indian sub continent or mileage based? You can only effectively use AA miles on Etihad travelling to/from the Middle East and Indian sub-continent. (since you would have to pay for an entirely separate award to travel beyond that region) AA use a regional chart. 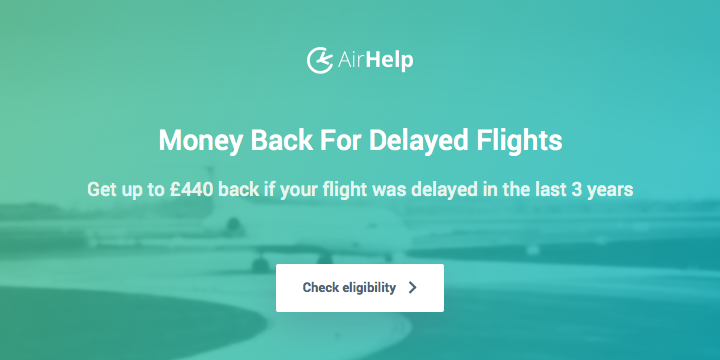 Another tip: if you need more Alaska miles to hit a redemption, there’s a 40% off sale at the moment. The cost per mile is slightly more than an SPG point with the 20k+5k transfer bonus, but less than an SPG point without the transfer bonus. Hi Mike – good point! For this particular deal, the numbers work perfectly for an SPG 20k transfer, but on some of the others I’ve written about, it could definitely make sense to at least partly by the Miles direct from Alaska.